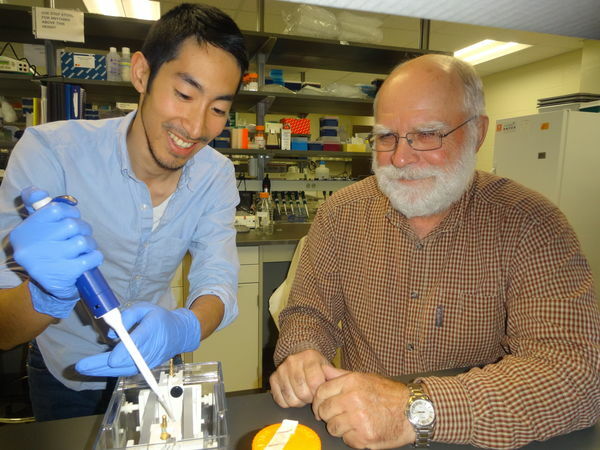 Matthew Eng, a doctoral student in the laboratory of University of Notre Dame’s Professor of Biological Sciences David Severson and Director of the Eck Institute for Global Health, is the recipient of a Grants-in-aid-of-research (GIAR) given by the Sigma Xi Research Society. His grant titled, “Deciphering host factors for dengue infection in Aedes aegypti mosquito,” was funded as one of only 17% of applicants. Dengue is the most common mosquito-borne viral disease in the world, with no available vaccines or drug treatments. 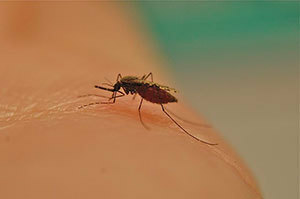 Mosquito control remains the primary disease control mechanism. In a breakthrough approach, solving this problem that was open for nearly thirty years, a team led by physics professor Zoltán Toroczkai has provided an understanding of the degeneracy problem and discovered a way to eliminate it. Their paper, “Reducing Degeneracy in Maximum Entropy Models of Networks,” was published this month in Physical Review Letters. Coauthors with Toroczkai are Szabolcs Horvát (first author) and Éva Czabarka. The University of Notre Dame’s Eck Institute for Global Health is partnering with the Peace Corps to offer financial help to returned Peace Corps Volunteers. The joint program will provide an annual scholarship of $12,000 to qualifying returned Peace Corps Volunteer accepted into the Master of Science in Global Health program beginning Fall 2015. Department of Physics graduate students Anna Woodard and Matthias Wolf received an award for their poster presentation at the 21st International Conference on Computing and High Energy Nuclear Physics (CHEP 2015) in Okinawa, Japan, April 13-17. Their poster, titled “Exploiting Volatile Opportunistic Computing Resources with Lobster,” was about a software package that they wrote together to enable high energy physicists on the CMS experiment to make use of a broader set of computing resources then they can usually access. The Notre Dame Integrated Imaging Facility (NDIIF) is pleased to announce two awards for best imaging publications for the 2014 calendar year. This past Saturday (Apr. 18), Notre Dame hosted the 18th annual Expanding Your Horizons (EYH) career conference for middle school girls that focused on activities in science, technology, engineering, and math (STEM). The main goal of the conference is to attract more young females to STEM careers and help them realize that they have the potential to become innovative and creative thinkers ready to meet 21st century challenges. 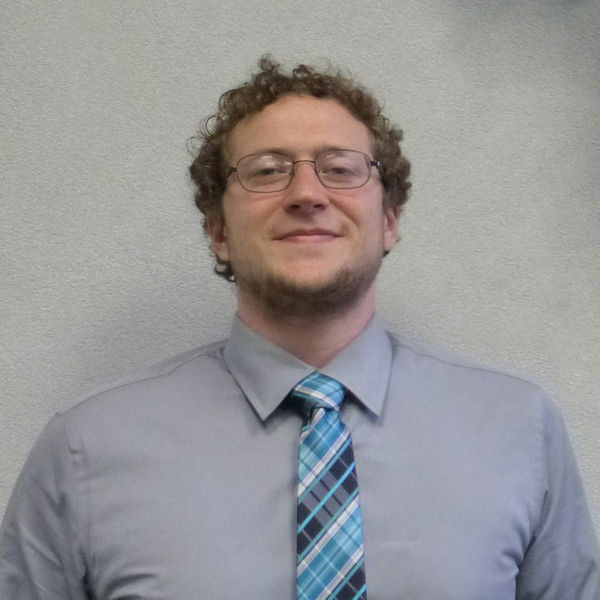 Two new papers from the lab of Zach Schafer, Coleman Assistant Professor of Cancer Biology at the University of Notre Dame, offer insights into how breast cancer cells avoid anoikis, which is cell death induced by detachment from the extracellular matrix (ECM). The National Science Foundation (NSF) recently announced the awardees of the 2015 Graduate Research Fellowships Program (GRFP). Eight College of Science students and two alumni received awards. In addition, several students and alumni received honorable mentions. There were over 16,000 applications for this year's GRFP with 2,000 awardees nationwide. The fellowship provides three years of support for the graduate education of students who have demonstrated the potential for significant achievements in science and engineering research. Past NSF Fellows include individuals who have made significant breakthroughs in science and engineering research, as well as some who have been honored as Nobel laureates. Congratulations to the 2015 Research Like a Champion awardees! The winning proposals received $12,500 in support summer student stipends, research supplies, and travel throughout the upcoming academic year and summer. In January 2015, the Notre Dame QuarkNet Center received its second Luksic grant from Notre Dame International to enhance the Masterclass Institutes Collaborating in the Americas (MICA), a collaboration between Pontifica Universidad Católica (PUC) in Santiago, Chile, and the University of Notre Dame particle physics education and outreach programs. Adam Martin, assistant professor of physics, and Trinity School physics teacher Patrick Mooney ’78, ’86 Ph.D., lead teacher at QuarkNet, traveled to Santiago, Chile in February to host a two-day Masterclass for Chilean high school teachers. A group of researchers, led by Jon Camden, associate professor of chemistry and biochemistry, has reported the first nanoscale mapping of the flow of energy between light-harvesting plasmonic nanoparticles and semiconductor substrates. 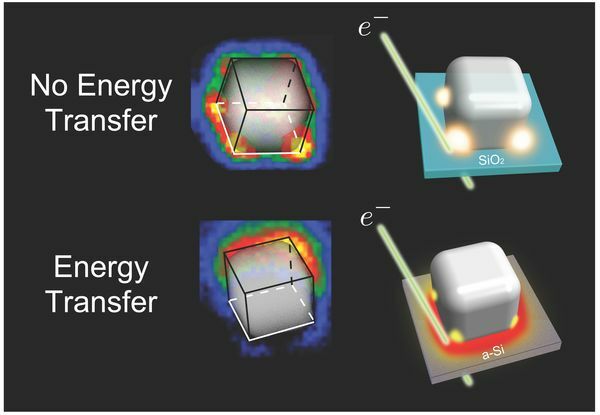 This work demonstrates an exciting new method for researchers to use in probing competing energy transfer mechanisms in nanoparticle on semiconductor systems. Karen Deak, PhD., director of the Master of Science in Patent Law, recently wrote an article for the Global Success Club. The students from Scientia, the undergraduate journal of scientific research, host a monthly seminar series called Talk Science that highlights the work of undergraduate and faculty researchers at the University. This semester, Talk Science events focus on research that can be applied in innovative ways. This month’s presenters were senior physics major Christopher Barnes and Michael Flavin, Ph.D., managing director of Flavin Ventures LLC and CEO of Shamrock Structures. The 11th annual Relay for Life at the University of Notre Dame will take place from 6 p.m. to midnight April 17 (Friday) in the Compton Family Ice Arena. Have you ever spent time in the courtyard between Hayes-Healy Center and Hurley Hall? When warmer weather and sunny skies finally return to Notre Dame, you’ll often find friends eating lunch, students studying, or even little ducklings running around. The courtyard is enjoyed by many around campus, but few know the history behind this treasured space. 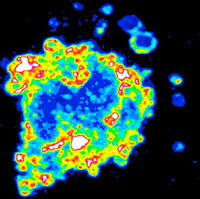 The National Science Foundation (NSF) announced Monday (March 30) that it is renewing funding for a University of Notre Dame-led institute dedicated to the of study the broad range of nuclear processes in the universe that control stellar evolution, trigger supernova events and lead to thermonuclear explosions observed as novae and X-ray and Y-ray bursts. 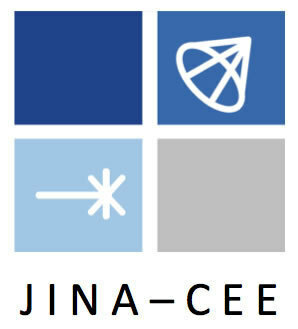 The Joint Institute for Nuclear Astrophysics (JINA) was established and funded in 2003 as a NSF Physics Frontier Center between Notre Dame, Michigan State University, the University of Chicago and Argonne National Laboratory to address critical questions about the origin of heavy elements in nature or nuclear processes on compact stellar objects. University of Notre Dame applied mathematician Mark Alber and environmental biotechnologist Robert Nerenberg have developed a new computational model that effectively simulates the mechanical behavior of biofilms. 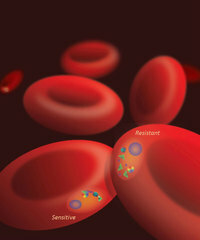 Their model may lead to new strategies for studying a range of issues from blood clots to waste treatment systems. This past Saturday, March 21, the College of Science held a course on Scientific and Medical Leadership in Jordan Hall of Science. This day-long event brought together scientists and physicians from a variety of fields to address relevant topics facing contemporary leadership roles.